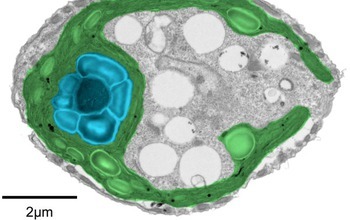 CAPP: An algea pyrenoid appears blue and its chloroplast, a photosynthesizing unit, appears green. The CAPP project aims to transfer key photosynthetic components from algae to plants in order to enhance crop productivity. 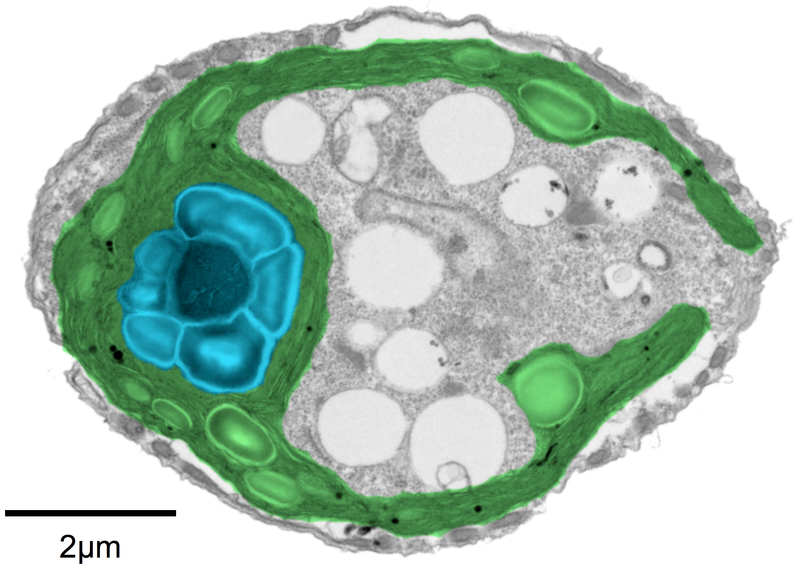 In this false-color electron microscopy image, the pyrenoid of a green algea is highlighted in blue, and the chloroplast, an organelle that carries out photosynthesis, is highlighted in green.